Coaching for runners wanting to improve performance at 5k, 10k, Half Marathon and Marathon. Owner and lead coach is Mark Perry also known as 'Coach P'. 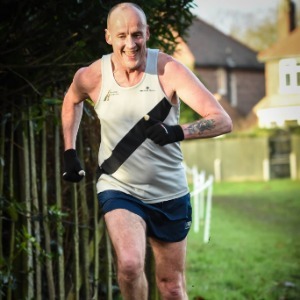 Mark holds a UK Athletics Level Two 'Coach in Running Fitness' qualification, supporting road, trail and cross-country(XC) running. Having been an active runner and triathlete since 2006, taking up coaching was the next step. Starting at local running club level, he has coached a wide range of athletes, achieving success in local and regional running leagues and competitions. Moving forward to 2013, he formed the business 'Optimal Running', a progression from amateur to professional coaching. He now works predominantly as an online coach, developing runners in all aspects of the sport. Optimal training philosophy is built on the work of proven coaches, athletes,sports scientists, personal knowledge and experience in the sport. Using a systematic approach, we develop individually focused training plans that work for you. Success. Coach Mark Perry has been notified of your message.